Found him on the 1900 Jacobs Fork, Catawba, North Carolina census (dist 42 img 25) as John Angel age 9. Found him on the 1910 Jacobs Fork, Catawba, North Carolina census (dist 26 img 13) as John Angel age 19. Found him on the 1920 Jacobs Fork, Catawba, North Carolina census (dist 40 img 26) as John S. Angel age 29, single, living at home. Laborer, farm. Found him on the 1920 Brookhaven, Suffolk, New York census (dist 95 img 18) as Samuel Boddy age 23. Janette Celestia Cragg, the three months old daughter of Mr. and Mrs. Ralph Cragg of 235 First street, Painted Post died at 6 o'clock last evening of pneumonia. Besides her parents, the child is survived by one sister, Ruth, aged 5 years, and two brothers, Donald, aged 11 and Richard, aged 6 years. The funeral will he held Sunday afternoon at 3 o'clock at the home of the parents, at 235 First street. Rev. R. E Brettle officiating, and interment will take place in Fairview cemetery at Painted Post. - The Evening Leader February 21, 1919. Penn Yan, July 14 - Funeral services will be held tomorrow at 2 p. m. at Thayer funeral chapel for Mrs. Helen Taylor, 56, who died suddenly of a heart attack Friday night as she returned to Benton from a visit to a friend's home in Hall. Rev. Don Boyd of the Methodist Church will officiate and interment will be In Lake View Cemetery. Found her on the 1900 Milo, Yates, New York census (dist 140 img 9) as Nellie Cummings age 8. Found her on the 1910 Starkey, Yates, New York census (dist 185 img 22) as Nellie Cummings age 18. Found her on the 1920 Elmira Ward 8, Chemung, New York census (dist 35 img 5) as Nellie Taylor age 28. Found her on the 1900 Yonkers, Westchester, New York census (dist 145 img 24) as Emma Danner age 3. Found him on the 1920 Jerusalem, Yates, New York census (dist 177 img 18) as Robert Dinehart age 1 year 6 months. Found him on the 1930 Jerusalem, Yates, New York census (dist 9 img 18) as Robert H. Dinehart age 10. See him on the 1870 Clermont, Columbia, NY Census as William Fingar, age 8 months. Found her on the 1881 Chelsea, London, England census as Alice Finger age 4. Found her on the 1900 Bronx, New York, New York census (dist 1018 img 22) as Alice Finger age 22, single, living at home. Stenographer. Found her on the 1910 Waynesville, DeWitt, Illinois census (dist 86 img 15) as Alma O. Finger age 7. Found her on the 1920 Waynesville, DeWitt, Illinois census (dist 103 img 22) as Alma Olive Finger age 17. 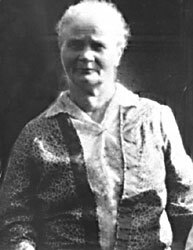 Found her on the 1930 Waynesville, DeWitt, illinois census (dist 22 img 5) as Alma Finger age 27, single, living at home. Found on the 1850 Benton, Yates, New York census (img 81) as Andrew Finger age 35, living with his parents. Found her on the 1910 Charlotte Ward 1, Mecklenburg, North Carolina census (dist 96 img 11) age 17. Found her on the 1900 Civil District 15, Knox, Tennessee census (dist 87 img 12) as Annie E. Finger age 2. Found her on the 1910 Civil District 3, Knox, Tennessee census (dist 108 img 21) as Annie E. Finger age 12. She is not listed with the family on the 1920 Civil District 17, Knox, Tennessee census (dist 202 img 6). Found her on the 1930 District 17, Knox, Tennessee census (dist 96 img 29) as Annie Finger age 26, single, living at home. Laborer, cotton mill. She is listed as Catrina Finger on her son Petrus' baptism record. She is not listed with the family on the 1850 Woodstock, Ulster, New York census (img 27). Found her on the 1870 Trenton, Dodge, Wisconsin census (img 35) as Mary Finger age 5 months. Found her on the 1885 Lake Henry, Stearns, Minnesota state census (img 4) as Elizabeth Finger age 15. Found him on the 1900 Slayton, Murray, Minnesota census (dist 194 img 13) as Elizabeth M. Schlick age 30. Found her on the 1910 Paynesville, Stearns, Minnesota census (dist 152 img 27) as Elizabeth M. Schlick age 40. Found him on the 1930 Paynesville, Stearns, Minnesota census (dist 48 img 1) age 60, widow. Her daughter Emily age 23 is living with her. Found her on the 1930 Vermilion, LaSalle, Illinois census (dist 93 img 4) age 7. Found her on the 1940 Richland, LaSalle, Illinois census (dist 50-108 img 10) as Glenadene Finger age 17. Found her on the 1900 Paint, Wayne, Ohio census (dist 155 img 18) as Lucy Finger age 15. Found her on the 1895 Glassboro, Gloucester, New Jersey state census as Mamie Finger age under 5. Found her on the 1900 Franklin, Gloucester, New Jersey census (dist 153 img 18) as Mamie A. Finger age 8. Found him on the 1920 Joliet, Will, Illinois census (dist 158 img 25) as Nicholas Finger age 5 years 1 month. Found him on the 1930 Joliet, Will, Illinois census (dist 56 img 7) as William Finger age 15. Found her on the 1860 (not stated), Catawba, North Carolina census (img 65) age 16. Found her on the 1870 Caldwell, Catawba, North Carolina census (img 20) as Sarah Finger age 27. Living next door is her brother Alexander Keener age 30, farmer. Found her on the 1880 Caldwell, Catawba, North Carolina census (dist 44 img 5) as S.A. Finger age 37. Found her on the 1910 Caldwell, Catawba, North Carolina census (dist 17 img 1) as Sarah Finger age 53. Found her on the 1920 Caldwell, Catawba, North Carolina census (dist 29 img 1) as Sarah Finger age 62. Found her on the 1930 Caldwell, Catawba, North Carolina census (dist 2 img 8) as Sara K. Finger, age 73, living with her daughter Katie and her husband Ottis Sigman. Found her on an IGI Individual Record at familysearch.org as Sarah Ann Elizabeth Keener. On her own gravestone her name is Sarah Ann E. Finger. Found him on the 1920 Bronx Assembly District 1, Bronx, New York census as Gorden Kief age 11. Found him on the 1930 Queens, Queens, New York census (dist 1159 img 18) as Gordon Kief age 21. Salesman, automobile. He is living in the household of his brother Frank P. Glum. Found him on the 1940 New York, Queens, New York census (dist 41-1130 img 5) as Gordon Kief age 31. Ticket agent, railroad. He is living in the household of his brother-in-law Frank Glum. Found a website that says Melanie Lasurke attended Hawthorne Middle School in Hawthorne, Nevada in 1994 and 1995. Another site says she attended Lake Havasu High School in Lake Havasu City, Arizona in 1996 and 1997. Found him on the 1910 Derby Ward 3, New Haven, Connecticut census (dist 336 img 17) as John Lasuerk age 7. Born Austria. Address: 57 Commerce St.
Found him on the 1920 Derby, New Haven, Connecticut census (ward 3 dist 258 img 41) age 18, born Poland, speaks Polish, laborer, shop. Came to the US in 1909. Found him on the 1930 New Bedford, Bristol, Massachusetts census (dist 158 img 5) as John J Lazurek, age 28, single, a soldier at Fort Rodman. Born Roskorjani, Austria, speaks German, came to the U.S. in 1910. Found her on the 1930 Red Hook, Dutchess, New York census, age 80. Found her on the 1850 District 10, Blount, Tennessee census (img 7) as Eliza Tallent age 39, born Kentucky. Found her on the 1910 Canton Ward 4, Stark, Ohio census (dist 172 img 17) as Mary A. Finger age 48. Found her on the 1920 Plain, Stark, Ohio census (dist 124 img 16) as Mary B. Finger age 57. Found her on the 1930 Plain, Stark, Ohio census (dist 119 img 39) as Mary B. Finger age 68. Found her on the 1900 New Haven, New Haven, Connecticut census (dist 379 img 29) age 16, born April 1884, Ill.
Found her on the 1930 Waterford, New London, Connecticut census (img 30) age 45, with husband Earl S. Wellington, age 45. She was a member of the D.A.R. Found her on the 1900 Derby, New Haven, Connecticut census (dist 308 img 24) as Mary Lazzin age 40. Has given birth to 8 children, 4 are living. She is shown as married, but no husband is listed. She is head of household. Came to the U.S. in 1891. Found her on the 1910 Derby Ward 3, New Haven, Connecticut census (dist 336 img 17) as Mary Lasurke age 50. Has given birth to 6 children, 4 are living. Address: 57 Commerce St.
She is listed as age 60 on the 1920 census (b=1860), 50 on 1910 (b=1860). Found her listed in the 1921 New Haven, New Haven, Connecticut City Directory as Mary, widow of Andrew LaSurke. She is living with Harold (likely a reference to her son, Michael Harry LaSurke, who was called 'Harry' at times) at 42 4th Avenue, Highwood. The 1900 census says she speaks Polish. Poland was part of Austria Hungary after 1867. Found her on the 1850 Lodi, Seneca, New York census (img 36) as Nancy J. Shannon age 11 months. Found her on the 1860 Lodi, Seneca, New York census (img 25) as Mary J. Shannon age 11. Found her on the 1900 Civil District 5, Blount, Tennessee census (dist 17 img 17) as Zora Simerly. Found her on the 1910 Civil District 10, Blount, Tennessee census (dist 26 img 1) as Zoria Finger age 23. Found her on the 1920 Civil District 11, Blount, Tennessee census (dist 135 img 10) as Zora Finger age 32. Found her on the 1930 Miser Station, Blount, Tennessee census (dist 5 img 18) as Zara Finger age 42. Found her on the 1880 Gallatin, Columbia, New York census (dist 10 img 1) as Julia M. Stickle age 3. Found her on the 1900 Gallatin, Columbia, New York census (dist 12 img 10) as Julia M. Stickle age 23, single, living at home. Found her on the 1910 Pine Plains, Dutchess, New York census (dist 29 img 18) as Julia Scisno [Scism] age 33. Found her on the 1920 Livingston, Columbia, New York census (dist 37 img 3) as Julia Scism age 43. Found him on the 1860 Benton, Yates, New York census (img 56) as John Tears age 2. Found him on the 1870 Benton, Yates, New York census (img 10) as John Tears age 10. Found him on the 1880 Benton, Yates, New York census (dist 215 img 2) as John Tears age 21, single, living at home. Works on farm. Found him on the 1900 Benton, Yates, New York census (dist 134 img 11) as John Tears age 44, farmer. This census says born June, 1855. Found him on the 1910 Benton, Yates, New York census (dist 173 img 2), living a few homes away from his brother-in-law Albert Finger. Albert was married to John's sister Hannah, but she died in 1884 and Albert remarried in 1886. Found him on the 1920 Benton, Yates, New York census (dist 174 img 8) age 61. Found him on the 1925 Benton, Yates, New York state census (AD 01 ED 03 img 6) as John Tears age 66. Found him on the 1940 Benton, Yates, New York census (dist 62-10 img 5) as John Tears age 81. Farm laborer.